I’ve been a big fan of Chipotle Mexican Grill since 2013. What brings me in every time is the fresh food that is being served each and every time by warm and friendly staff. I was never a big fan of McDonald’s, Burger King and Taco Bell and this is my chance to try fast food without gaining weight or eating the unhealthy. 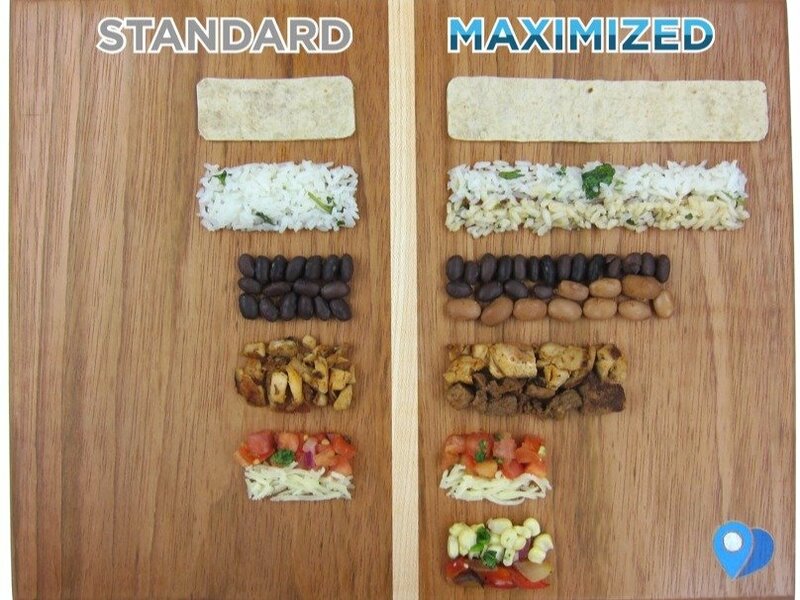 What I like most about Chipotle is their training programs. They send the best team of professionals to help newbies learn the ins and outs of cooking proper food. New employees spend 1 week, and sometimes more, learning how to work different stations. AND by the end of the training program, they will have mastered most, if not all, the techniques that are required of them to work behind the counter. Practice makes perfect. And everyone starts at the same level – having little or no experience because none is required for this job. But as they begin to work up the ranks of Chipotle, they learn something new and become team players when they help the colleagues do the same. Everyone starts on an even plank – as servers. They slowly work their way up from kitchen managers to service managers to apprentices to general managers and eventually restauranteurs. The company hires and promotes from within and there are no assistant managers. All apprentices are considered general managers in training. It’s quite possible to become a general manager in two years’ time. Remember, this is not a job where you work and do things yourself. You work as a team and share ideas and ensure everyone is pulling their weight. Let’s start with the Yonge and Eglinton location. The staff works very well together to make the line move a lot smoother during peak times. I often see the managers assisting the workers and speaking with customers to ensure that they are satisfied with their Chipotle experience. If you see a bay leaf inside the beans or rice, remove it. Don’t stare at it. I had the leaf stuck in my food twice and it was not the most pleasant experience. Counters need to be cleaned during busy times. The condiments section should be refilled before and after the rush hour. Quite often I would come in and see those things missing. Grill people would be seen cutting meats with nothing but gloves. I know for a fact that Chipotle has knife-cutting gloves. So why not use it? Another location I’ve been to is the Don Mills location at the Shops on Don Mills. Staff need to work on their listening skills. I get asked what sort of meat I would like three times by three different people in one visit. Condiments should be regularly refilled. Meat portion sizes are not equal. Twice I was given just 4-5 cuts (pieces) of steak and had to ask if that was the appropriate serving for $10.10. The answer was no. Meats should be cleaned after the shelf life has expired. Twice I received meat that was as cold as stone. Management should be visible and part of the experience like at the Yonge & Eglinton location. I’ve only seen Josue Martinez behind the counter working and assisting the staff during busy hours. Hint: Add both black and pinto beans, fajita veggies and corn salsa — three free ingredients that will add weight to your burrito. Warning corn salsa is considered medium spicy. Those extra ingredients won’t cost you extra, except if you get meat.